Zlatan Ibrahimović, Eric Bailly and Daley Blind ruled out. Harry Winks and Serge Aurier doubtful. Toby Alderweireld, Christian Eriksen, Erik Lamela, Hugo Lloris and Danny Rose all return to First-Team Training. 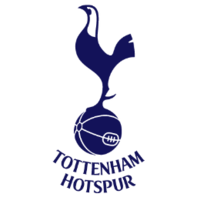 Tottenham Hotspur Football Club, commonly referred to simply as Tottenham or Spurs (and nicknamed The Lilywhites), are a professional football club based in Tottenham, London. The Hotspur Football Club was formed in 1882 by a group of school boys, mostly aged 13 to 14, from Tottenham Grammar School and Saint John's Middle Class School who were members of the Hotspur Cricket Club formed two years earlier. Initially, the boys that formed Hotspur Football Club played games between themselves and friendly matches against other local clubs. The team entered their first cup competition in the London Association Cup, and won their first competitive match on 17 October 1885. The club turned professional on 20 December 1895, and in the summer of 1896 they were admitted to the Division One of the Southern League. On 2 March 1898, the club also became a limited company, the Tottenham Hotspur Football and Athletic Company. Tottenham were the first club in the 20th century to achieve the League and FA Cup Double, winning both competitions in the 1960-61 season. After successfully defending the FA Cup in 1962, in 1963 they became the first British club to win a UEFA club competition – the European Cup Winners' Cup. 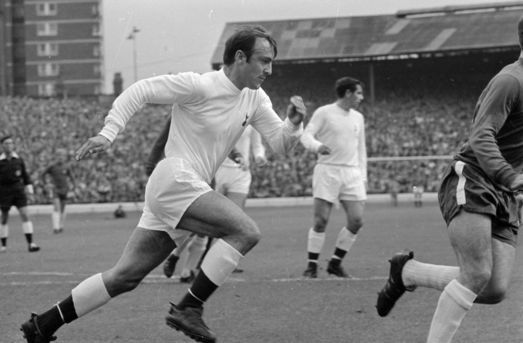 In 1967, Spurs won the FA Cup for a third time in the 1960s. In the 1970s Tottenham won the League Cup on two occasions and were the inaugural winner of the UEFA Cup in 1972, becoming the first British club to win two different major European trophies. In the 1980s Spurs won several trophies: the FA Cup twice, FA Community Shield and the UEFA Cup in 1984. In the 1990s the club won the FA Cup and the League Cup. 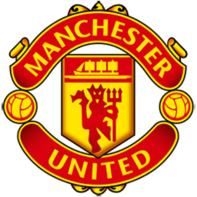 When they won the League Cup once more in 2008, it meant that they had won a major trophy in each of the last six decades – an achievement only matched by Manchester United. Tottenham supporters have rivalries with several clubs, mainly within the London area. The fiercest of these is with north London rivals Arsenal (with matches between them termed the North London derby). They also share notable rivalries with fellow London clubs Chelsea and West Ham United. 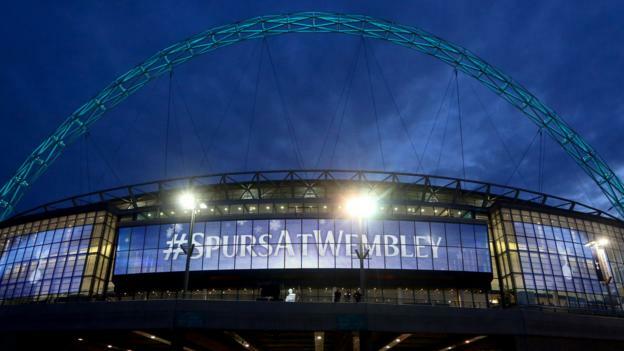 Tottenham currently play their home games at Wembley Stadium - with White Hart Lane being dismantled to make way for a new stadium as a part of the Northumberland Development Project. Gomes with the hat trick. Exactly, have Lingard and Sanchez interchanging the whole time. what? why would you want to play this formation, no chance of that team. This is a great fixture for us to have as it should ensure complacency doesn't enter the fray. The boys look to be all chomping at the bit to get in the XI, too. Let's put the shackles on Kane and we've got enough firepower - and wide distribution of such - to see the job home. Spurs haven't played three at the back for ages. They won't now - and Martial won't be on the bench. He was rested tonight along with Pogba specifically for the Spurs game. Keep Kane and Son quiet. Sanchez, Lingard, Martial, Pogba and Lukaku is an all-star counter attack, and our FBs Young and Valencia have recently been on song attacking wise as well. Lingard goal is nailed on as it is Wembley, so we just have to build on it. The only top 6 side playing three at the back at the moment is Chelsea. Arsenal and Spurs have stopped doing it. Think we should go with an extra midfielder for this, if we want to give Pogba as much freedom as against Stoke. Martial will surely play though. How does he play against this lot? Do you know if that was a recent thing? Like how many games ago did they both stop doing it? 3-0 to us. I’m confident. Might be Lingard in for Herrera playing as the midfielder, but I'd prefer Herrera here as it'll be a tough game. Shaw over Young as well to get the natural defender there, plus with Sanchez in the attack we don't need as much of the overlap. Martial/Sanchez will float around and swap sides, but that front 3 for sure. 1 thing is for certain. Lingard must play. He loves Wembley. Arsenal: last 2 games have been 4-3-3. Spurs: last 13 games have been 4 at the back (25th November was the last game with 3 at the back). Cheers. Will have to look back and see their results since switching and compare them to their last few in the older formations. This'll be a hell of a game. Search the teams on transfermarkt.co.uk then look at fixtures by date for an easy comparison. Hope we get a game where Jose will risk playing Gomez although "risk" is probably too strong a word with this lads talent. No way Martial is getting dropped after scoring three games in a row. Not even for the shiny new toy that is Alexis. That is not the message you want to be sending players. Lingard, Sanchez, Gomes + 8 others. If Mourinho feels he has to start Herrera instead of Lingard in midfield, I can see in the attack Martial being dropped for Lingard. Guess it depends on who we play next in the FA Cup coupled with how much of a run we can make in the CL. If we can somehow make it to the final then I'm sure he'll get a game at the end of the season. Will they? Tottenham dropped 3 at the back some time ago, they been playing 4-2-3-1 lately. For Spurs, sure. For us, far from it. I’d take a draw right now. Yep. Though I do hope that we get Messi Lingard and not Jesse Lingard. I'd love to see him waltzing past Spurs' entire back line and scoring.